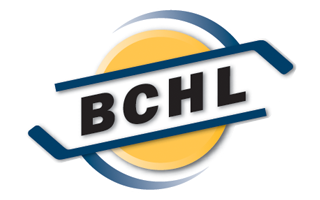 After a disappointing loss in Vernon on Saturday night, where the coaching staff thought the team just didn’t show up, the Smokies rebounded with a spirited game in Penticton on Wednesday night. Despite the overtime loss to the Vees the Smokies coaching staff have to be happry with the effort the team put in. Special teams played an important role in the Vees win as they scored three power play goals, including one in the first overtime period, to take the win. The Smokies scored a power play goal of their own in the first period as they went to the dressing room with a first period 2-1 lead. Plagued by slow starts this season the Smokies turned that around on Wednesday when they came out strong against the Vees. Braeden Tuck scored his 3rd goal of the season at 4:20 assisted on by Kale Howarth, his 23rd of the year and Mitchell Stapley also with his 23rd. Troy Ring put Trail up 2-0 at 11:59 on a feed from newcomer Korbyn Chabot who got his first point as a Smoke Eater and Andre Ghantous with his 23rd assist of the year. The Smokies outshot the Vees 16-9 in the first period. At 15:52 of the period Penticton cut the lead in half when Owen Sillinger scored his 12th of the season. The Smokies took their foot off the pedal a little in the second and Penticton scored the only goal of the period at 14:53 when Grant Cruikshank scored, his first of two on the night, to tie the score at 2. At 14:58 of the third Nicholas Jones put the Vees up 3-2 with their second power play goal to take a 3-2 lead. It looked like this was going to be the nail in the coffin for the Smoke Eaters but after pulling their goaltender for an extra attacker the Smokies scored at 18:07 to force overtime. Kale Howarth scored the goal with assists going to Connor Brown Maloski and Josh Lamframboise. It was Howarth’s 2oth goal of the season. In the first overtime period, as stated earlier, special teams played a deciding role in the win as Trail took a costly penalty early in the O/T frame and the Vees capitalized on that penalty. Grant Cruikshank scored his second goal of the game and his 23rd of the season to take the win 4-3 win for the Vees. His two goals and two assists on the night earned Grant Cruikshank first star honors of the game. 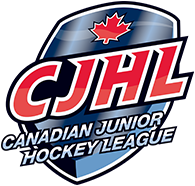 Nicholas Jones of the Vees was named second star with a goal and an assist and Trail’s netminder, Linden Marshall, was named third star with a strong performance in the Trail net. The Vees, Owen Sillinger was name the Fortis Energy Player of the Game. Luke Santerno and Ross Armour were not in the Trail lineup for the game as Santerno had the flu and Armour is struggling with a lower body injury. Hopefully both players will be in the lineup on Saturday night when the Smokies host the Vernon Vipers in a crucial divisional game. The Vipers are currently in second place with 38 points followed by Trail with 35 points. The game will be the Smokies last before the Xmas break. Notes: Having Santerno back in the lineup for the Saturday tilt would be a boost for the Smokies as he is the team’s leading goal scorer. His stick has gone cold of late and his leadership is a must for the team. Smokies next home game is on Saturday at the Cominco Arena. Game time is 7:00 PM and will feature the Teddy Bear toss and the famous Smokies “Underwear Band.” Also, you can show your generosity and bring an unwrapped child’s gift for the Salvation Army.